In the Semarang, there are many places that you can visit. It’s common for people to explore Semarang in Midday. However, don’t forget that you can also explore Semarang in the night day. 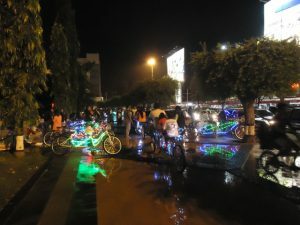 The nightlife in Semarang Indonesia is fun. These are the nightlife, you will enjoy. Nothing is more enjoyable than sipping hot coffee while you can enjoy a beautiful night scenery. This atmosphere, you can only feel it in the Umbul Sidomukti located in Ungaran, Semarang. 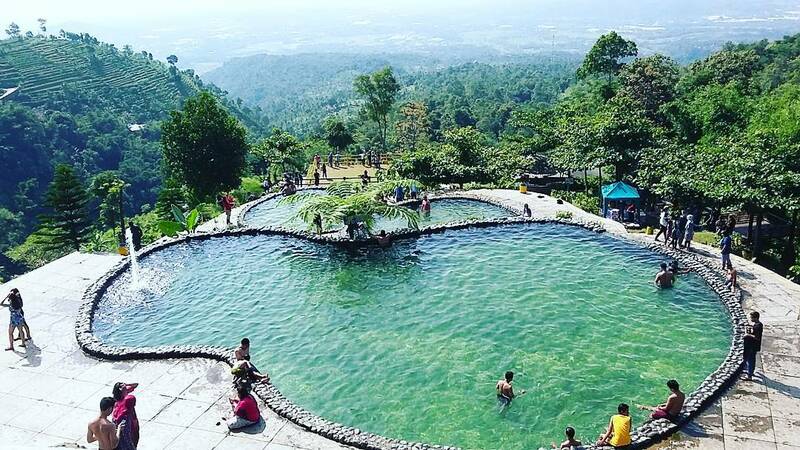 Umbul Sudomukti is a bathing area that surrounded by verdant rice. Semarang Old City is a tourist destination that will perfect to spend your nightlife in Semarang Indonesia. This place is used to be the center of a trade in the 19th century until the 20th century, it became the most historic places in Semarang city. Tugu Muda is a monument that created to commemorate the merit of the heroes who have fallen in the Five Days Battle in Semarang. This Tugu describes the morale and patriotism that flare up. 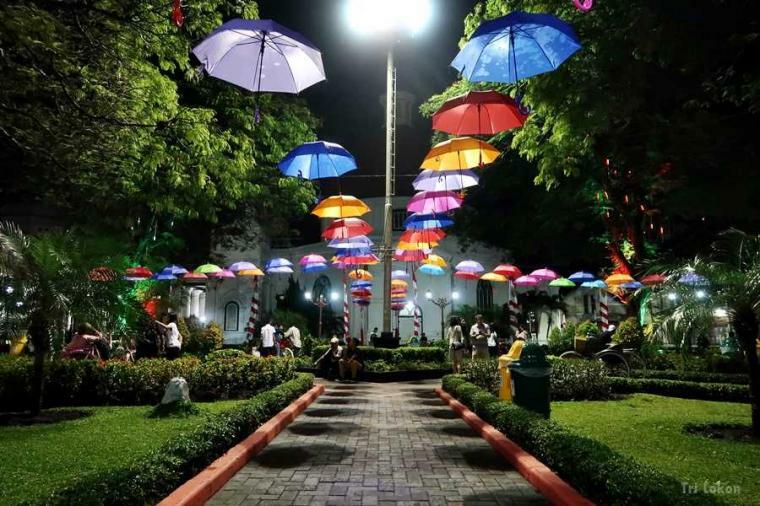 It has rich histories that impress the citizens of Semarang. Enjoy the beautiful scenery would be more comfortable if the stomach is full, right? 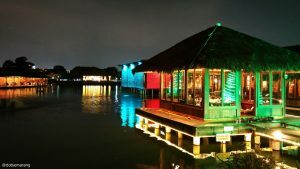 For you who want to enjoy seafood dishes can visit to sea village restaurant. Sea village name is derived from the location of this restaurant because it is located on the sea side. 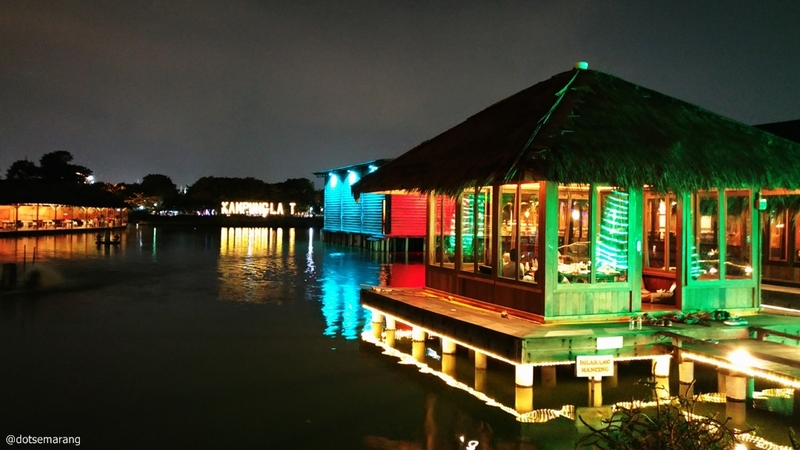 The pleasure of eating seafood will be more because it was accompanied by the night breeze and accompanied by the reflection of yellow light that emitted from each of the gazebo. 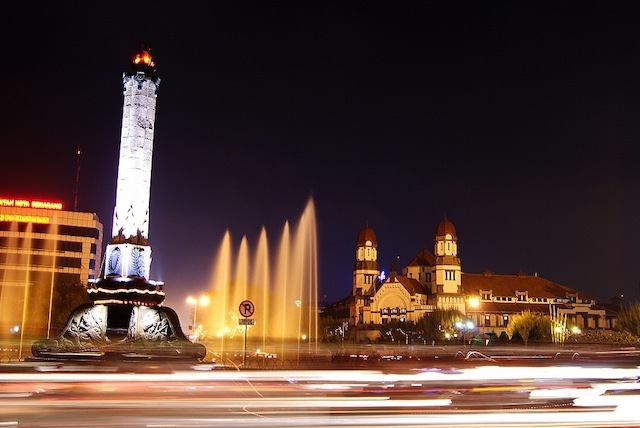 Traveling to Semarang will not be complete if you don’t visit Simpang Lima Semarang. The place is not far from Pahlawan street. In Simpang Lima, you can spend the night with hang out a cheap price while you can take a couple pictures. In Simpang Lima, there are also children’s games, like swings and slides that make you will feel nostalgic of your childhood. In addition, you can also ride bicycle that have various lights with your couple along the road Simpang Lima. You will feel romantic experience. Hearing the name of the Gombel hill might make you have a little goose bumps. Around Gombel based on the urban legend, this place is a gathering place for astral beings who sometimes annoy people who come to visit. However do not forget the awesomeness Gombel hill. 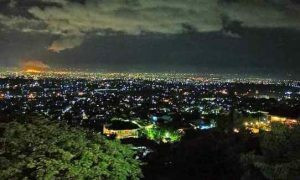 Forget the spookiness the Gombel hill and enjoy the beauty of the night in Semarang. On the Gombel hill, there is a tourist location that in the night make it more interesting. It’s so romantic, especially if you visit with your partner. At the site there Gombel hill, Tabanas parks are waiting for you with a variety of beauty. 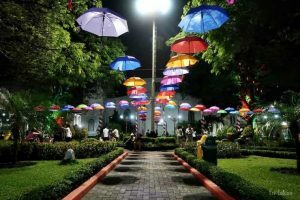 In the Tabanas Park, you can enjoy the beautiful view of Semarang city at night. You will see the scenery of city lights that sparkling. It extends from Jatingaleh to the Tanjung Mas port. The scenery of this place is truly beautiful and fascinating. If you start to feel hungry, you can easily find a cafe and food vendors who are always ready with Semarang specialties. 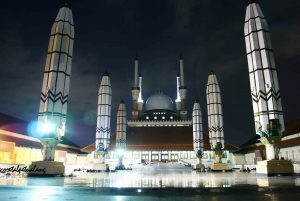 The mosque is located in an Gayamsari area, Semarang. This mosque is quite unique in terms of design. You’ve probably seen a giant umbrella that usually in the Nabawi mosque in Medina. Well, in the great mosque of Central Java, also adopted a similar design with a giant umbrella on its front yard. 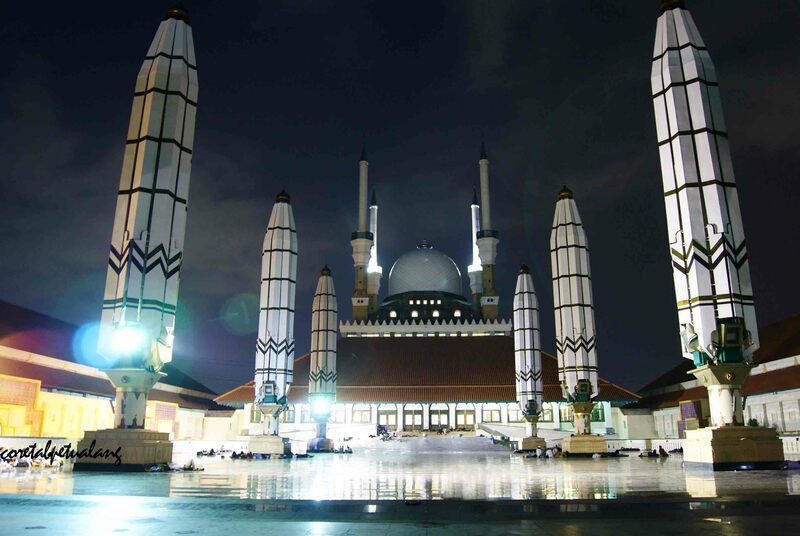 This mosque is chosen as a tourist destination at night. Why? It is because this place has luxurious and grand design. The location of the mosque is also quite broad and strategic. In addition, you also can see the vast of the Semarang city on Al Husna tower in the area of ​​Central Java’s main mosque. Lawang Sewu Semarang became is also a tourist destination at night. This place has a historic place that was built in 1904. 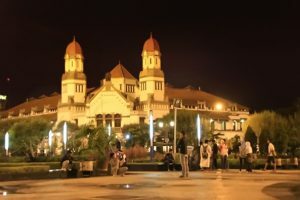 Being one of the attractions mainstay of Semarang, the Lawang Sewu which was used as the Dutch railway company office. It has many mythical stories that are circulating by the local people. Now, it is use as a historical tour by PT.KAI. Because of that this place become a favorite place for many visitors who come to the Semarang city. Historical buildings are still standing strong until today. 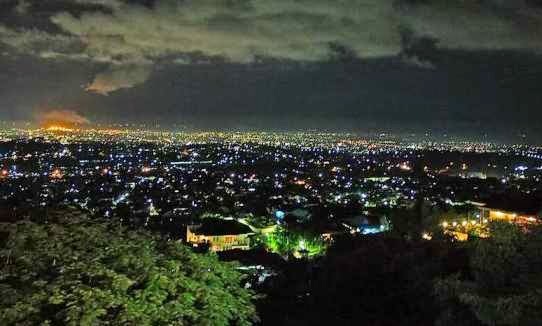 This place has become one of the place you must visit at night if you come to Semarang.